Manufacturer of a wide range of products which include briquetting plant controller. With the support of our experts and sophisticated in-house facilities, we have been able to offer an Briquetting Plant Controller that is designed with various qualitative features. Our offered briquetting machine is manufactured using the quality approved components and sophisticated technology in the guidance of our experienced professionals. Furthermore, our provided briquetting machine is highly acclaimed in the market owing to its high performance. 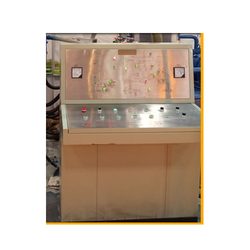 Our clients can avail this plant from us at market leading prices.